Tokyo is the perfect city to try a capsule hotel. The Japanese capital city offers a wide choice of inns of this type. So why not try sleeping in a two-square-meters pod for a night? In this article, I share my selection of capsule hotels located in Tokyo and close to Narita Airport. I also give you some tips to choose your pod, according to your tastes and your budget. Why try a capsule hotel? For those unfamiliar with this concept, a capsule hotel is a hotel offering only small enclosed spaces. These pods are leaving only room for a mattress. These pods are so small that you cannot stand in it. This concept, which terrifies claustrophobic people, was born in Japan in the late 1970s. It has become something common in Japanese culture. Indeed, it represents the lifestyle of the Tokyo employees who sometimes finish their workday too late to return home. In a city that counts every meter-square, capsules are a simple and cheap way to have a comfortable place to sleep when you are unable to meet your bed. 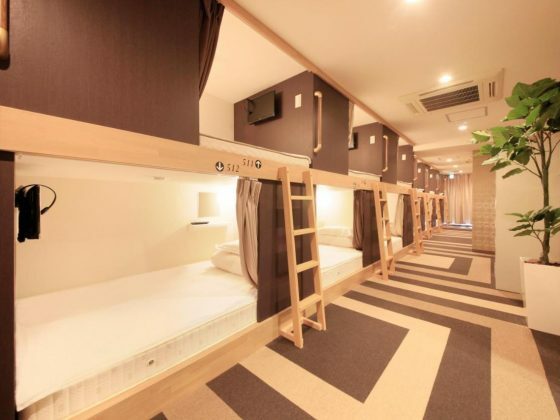 Capsule hotels are not just for salarymen and office ladies who have missed their last train. You can book a capsule in advance, as for a conventional hotel. Here is my selection of the top-rated hotels in Tokyo. These inns offer different standings. You will find both luxury pods and much more traditional spaces. To help you in your research, I grouped hotels by district. I chose the neighborhoods of Tokyo that are best served by public transportation. Luckily, each neighborhood has also tourism attractions. Shibuya and Shinjuku are the best places to enjoy Tokyo’s nightlife. Akihabara offers many activities and shops related to Japanese anime. Where will you spend the night? Look at the map to find the hotel that has the best location for you. Besides to being one of the busiest areas of Tokyo, Shinjuku has the most used station in the world. If your pod hotel is located near this station, you will have no problem to join any Tokyo tourist zone. This minimalist inn is part of a chain of capsule hotels that focus on both the design and comfort of its guests. The rows of pods are reminiscent of a spaceship. If I had to recommend a single pod hotel in Tokyo, it would be this one. This capsule hotel is a classic in Tokyo. You can enjoy a sento, a Japanese public bath, and a cyber coffee where WiFi is free. 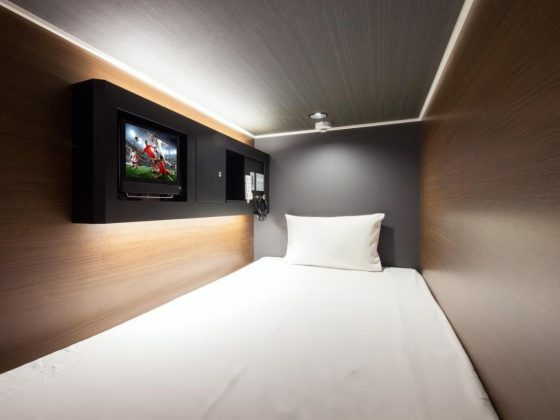 This pod hotel is just two minutes from Shinjuku station. The Shibuya crossing is certainly the most emblematic place of Tokyo. Imagine experiencing a capsule hotel just a few meters from one of the world’s most famous crossroads. This idea is not far-fetched, and it even has several advantages. Indeed, Yamanote line pass by Shibuya station. This railway is the most convenient in Tokyo. You can also access other subway lines in Shibuya station, this will allow you to get where you want. Besides, the neighborhood is lively at night. I guarantee you that you will not be bored. A facility reserved for men. It is 500 meters from Shibuya Station. The capsules are between 2 and 4 square meters. They are equipped with electrical outlets and a mini-TV. An emblematic establishment in Shibuya. It is perfectly located for people wanting to fully enjoy the nightlife of Tokyo. The hotel is within walking distance of Dongenzaka, the nightclubs and love hotels area. Akihabara is well known to Japanese anime and manga fans. This district is the Mecca of Otaku culture. Why not book a capsule in this part of Tokyo? Although my preference is for Shibuya and Shinjuku, I can understand that some tourists want to make Akihabara their base camp for exploring Tokyo. The station is served by the Yamanote line, which I mentioned earlier. In addition, Akihabara is not far from Ueno and Asakusa, two other tourist areas of Tokyo. Located between Akihabara District and Kanda Myojin Temple, this hotel is the perfect place to mingle in East Tokyo. The property offers several common areas including a bookstore and Japanese baths. First Cabin is a chain of hotels on the theme of aviation. 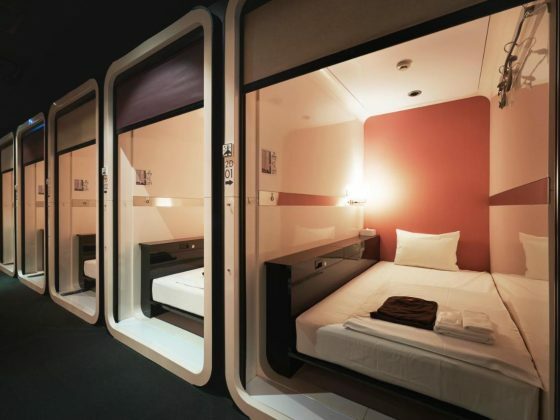 The design of this pod hotel and the staff’s outfits reflect the standards of major airlines. All this for a price that remains affordable. 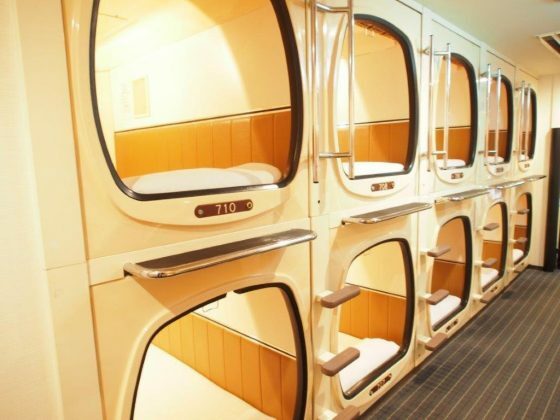 What is the price of a capsule in a pod hotel in Tokyo? In Tokyo, there are capsule hotels for all budgets. The standard and services offered are not the same depending on the capsule hotel you choose. A pod price can be multiplied by three only based on these criteria, even when hotels are in the same neighborhood. The first prices for a booth in Tokyo start at around 25 US dollars. These rates are very low if you do not consider the size of the room. Practically no quality hotel can compete on prices with this type of accommodation. For this reason, it can be tempting to spend several nights in a capsule hotel during a stay in Tokyo. In my experience, it’s a very bad idea. Because for this price you will not necessarily have the comfort to hold several nights in a row. There is a good chance that the pods are badly insulated. This means that if one of your neighbors starts to snore, you will have to endure it all night. My advice will be to stay just one night in a capsule hotel and then spend the rest of your trip in normal hotels or ryokans in Tokyo. Some hotels offer premium pods. These establishments often offer themed experiences or put a lot effort into the design of the capsules. This is the case for the First Cabin and Nine Hours chains. It is this type of capsule that I recommend to tourists who come to visit Tokyo. Their prices are often between 35 and 45 US dollars. Some institutions target very specific audiences or offer slightly different benefits. 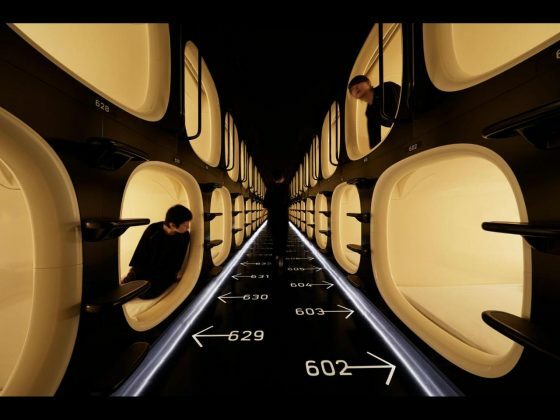 Are there capsule hotels reserved for women? Although most mixed capsule hotels separate areas where men and women can sleep, some women may feel safer in hotels that are reserved for them. Therefore, many capsule hotels targeting only women have appeared in all four corners of Tokyo during the last ten years. These inns ensure that their clients will not be bothered by malicious men. Even if, in all honesty, I do not think that this kind of drama occurs regularly. The staff is often there to play the role of the police if a customer somehow annoys one or more other people in the pods rows. Anyway, you will find my selection of Tokyo capsule hotels reserved for women below. Located just 100 meters from the iconic Yodobashi Camera electronics store. This hotel offers modern capsules. Some can accommodate two residents at the same time. This women-only hotel is one of the cheapest in Tokyo. The pods are like those of the first capsule hotels. That is, they are like rows of bunk beds. Are there pod hotels for couples? 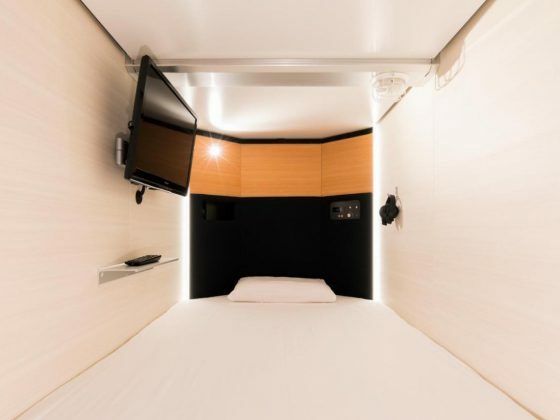 Although the idea of sharing a pod with someone goes against the basic concept of a capsule hotel, some hotels in Tokyo offer spaces for two. Of the pod hotels I mentioned, nine hours in Shinjuku, Glansit and the Bay Hotel in Akihabara offer double capsules. Unfortunately for heterosexual couples who would like to share a moment together, dormitories are always separate for men and women. 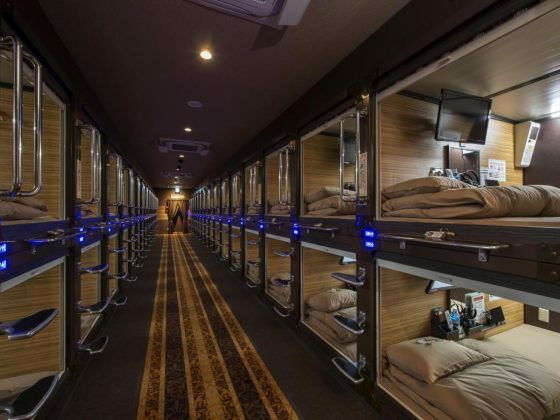 If that does not cool you, you will have to reserve two pods in two different dormitories to experience a capsule hotel in Tokyo. I recommend spending a night in a capsule hotel if you’ve never done it before. However, do not take advantage of the attractive rates of this kind of hotel for longer. The pods are comfortable, but they are not real beds. In addition, promiscuity with other people in the dormitory has an impact on your privacy. The little shutter to close the cabin is not enough to totally cut yourself off from the rest of the world, unfortunately! 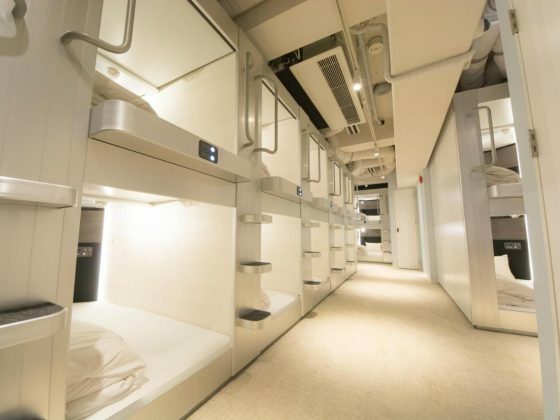 Feel free to ask questions about capsule hotels in Tokyo in the comments of this article. Similarly, if you have tips or facilities to recommend, I invite you to share them here. I will answer as quickly as possible to all your messages. In the meantime, you can always have a look at the section of my blog dedicated to Tokyo. It will help you prepare for your stay in the Japanese capital city.